We welcome all persons who share an interest in educational development work. We seek and value diverse perspectives on this work and the individual backgrounds, expertise, and wisdom ED professionals bring to our community. We encourage freely sharing our collective knowledge about educational development and related topics for our mutual benefit. We support a collaborative and peer-facilitated model of professional development for our members at all career stages. We demonstrate integrity and transparency in all our interactions. 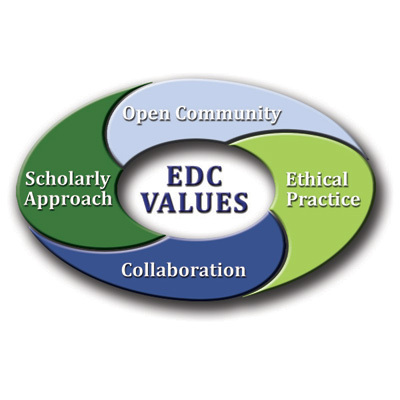 We uphold the highest possible values in collegial scholarship, crediting others for their contributions, and undertaking all work according to accepted ethical practices and policies. We take a scholarly approach to our work, drawing on a variety of resources and contributing to that knowledge through our own scholarly inquiry. We embody multiple approaches to scholarship and its sharing so others can benefit from our work.